Food is a powerful catalyst. It has the ability to bring joy, unite people of all sorts, and create and sustain revolutions. In the Melbourne suburb of East Brunswick, a small team of game changers are doing all of the above, and more. Tamil Feasts, a social enterprise run by CERES Community Environment Park, is made up of Nirma, Sri, Niro and Nigethan, four men who first arrived in Australia as refugees. Through their cooking, the Tamil Feast team are sharing their stories, celebrating their culture and working towards creating equality for people seeking asylum. 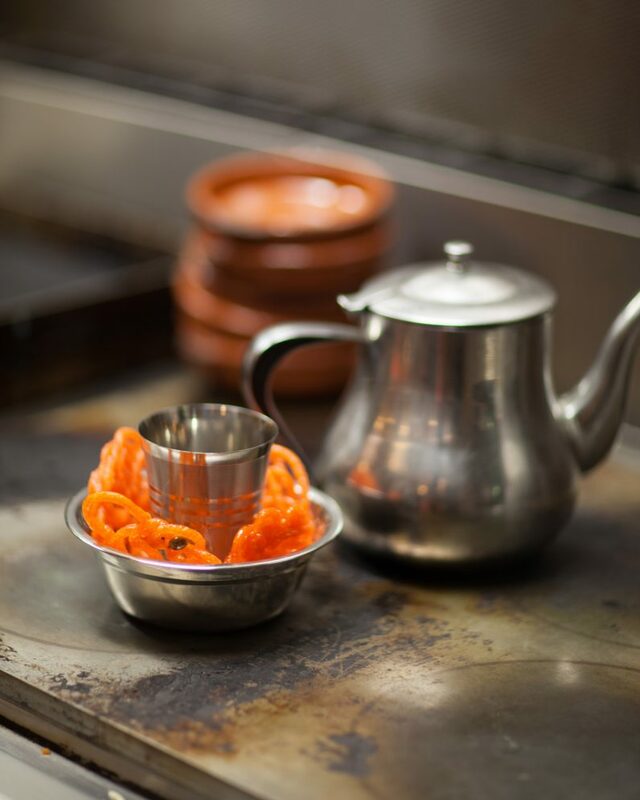 I recently caught up with Dori Ellington, Manager of Tamil Feasts, to find out more about this revolutionary bunch. Hi Dori, can you please tell us a little bit about Tamil Feasts? Tamil Feasts is a massive dinner party 3 nights a week. It provides employment to people seeking refuge and gives Australians the opportunity to say WELCOME! TF began simply as a reaction to Nirma and Sri having a hard time finding work after spending 6 ½ years in Australia’s detention centres. Our aim is to create social change, give a voice to the stories of the people seeking refuge and bring people together over food. Can you also please tell us about the faces behind Tamil Feasts? Nirma, Sri, Niro and Nigethan all spent 6 ½ years in mandatory detention around Australia after fleeing Sri Lanka’s brutal civil war. None of these men have permanent residency. While all these men are seeking refuge, this is not their sole identity. 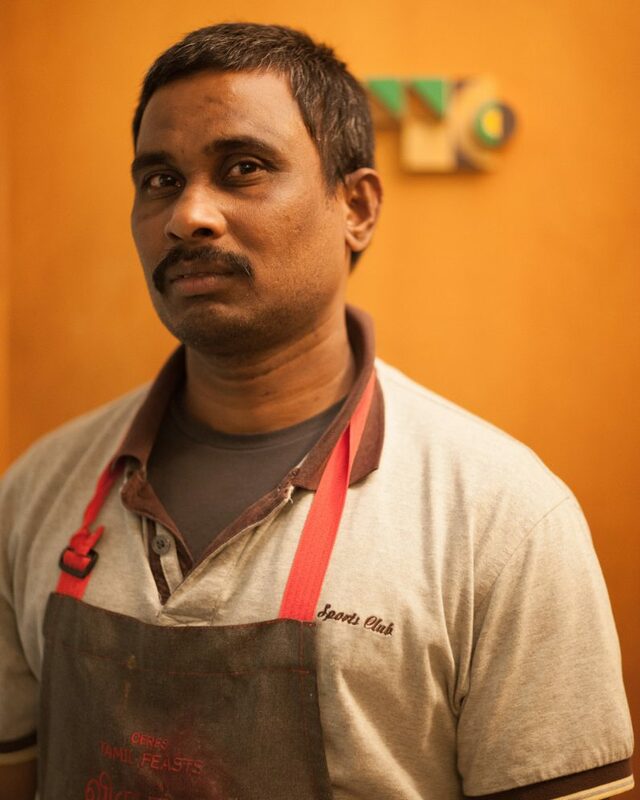 Nirma is the constant ideas man, he wants to do good, meet people and make money – his energy is infectious and joyous. Sri is a passionate poet, writer, photographer and documentarian; his observations of daily life are heartbreaking, raw and honest. 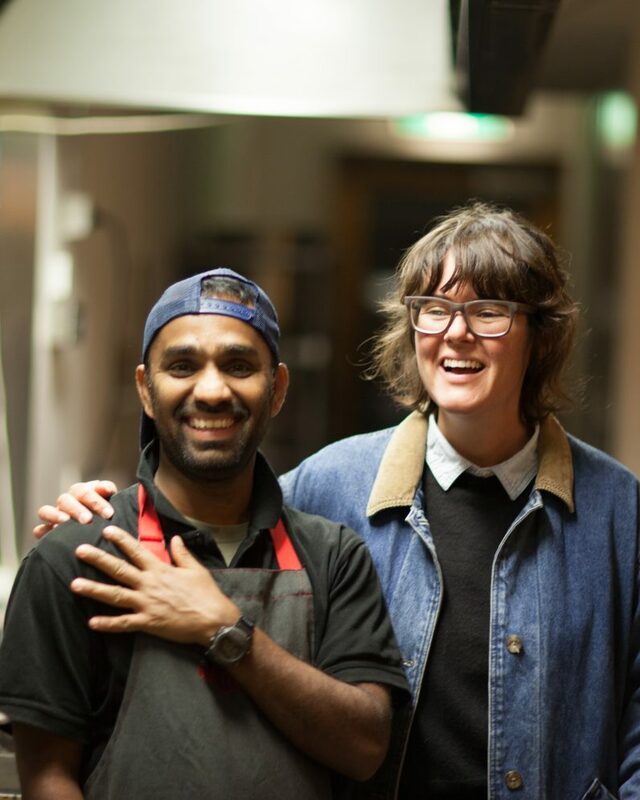 Niro is one proud boat person, and loves using food for activism and giving a voice to people seeking asylum – he is also a chef at the awesome Free to Feed! Nigethan is our head chef. When he was still in detention we would call and ask him about quantities and spices. Now he is a 5 star Uber driver, a Team Leader at Coles, and missing his wife and son who are still in Sri Lanka. Then there’s me – I organize stuff, CERES whose support is invaluable, and a whole crew of volunteers who we would be nowhere without – we would just be sitting around with a bag of onions and no logo! 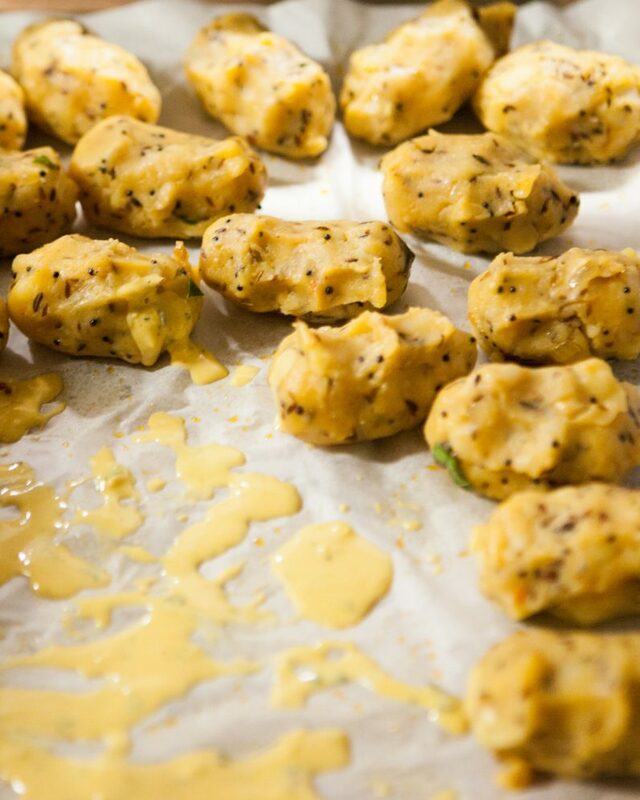 TF began as a small social enterprise catering to Melbournians one night a week. These days you regularly sell out of meals three nights a week! Why do you think people love coming to TF nights so much? People love coming because first and foremost they want to get behind people seeking asylum and say welcome! Despite the policies that are in place, Australians believe that seeking asylum is a human right. Can you talk us through a typical feast night? What kind of meals might we find on the menu? When we say FEAST we mean FEAST! We ask everyone to arrive at 7pm. That’s when the bar is open and we start bringing out the ‘Bhaji and Coconut Sambal’. Bhaji are beautifully spiced and deep-fried onions with loads of curry leaves and the sambal is fresh with a real kick to it! At 7.30 everyone is usually seated, full of bhaji and the chefs introduce themselves. There is no set speech – every time we stand up something new flies out. The theme may stay the same – how Tamil Feasts started, how overwhelmed we are that the night is full of people (which we are! 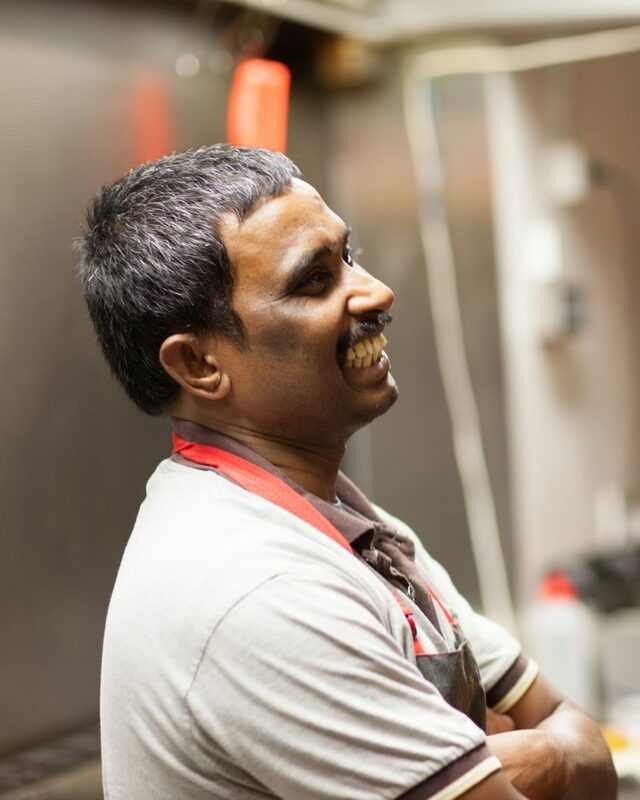 ), how for 6 ½ years these guys were in mandatory detention – but then there will be some new wisdom dropped, some daily insight shared, that can only come from the growth of this project and the support of the community that Tamil Feasts has created. After chats we serve up! Each week there is a theme – crab, fish, devilled prawn, kangaroo – and there is always a vegan alternative. You’ll get a main curry, a side of veggie curry, dahl, sambal, chutney, salad, rice and papadams. Everyone is served at the same time – there is something nice about being at an event and everyone eating at the same time. It’s are celebration. 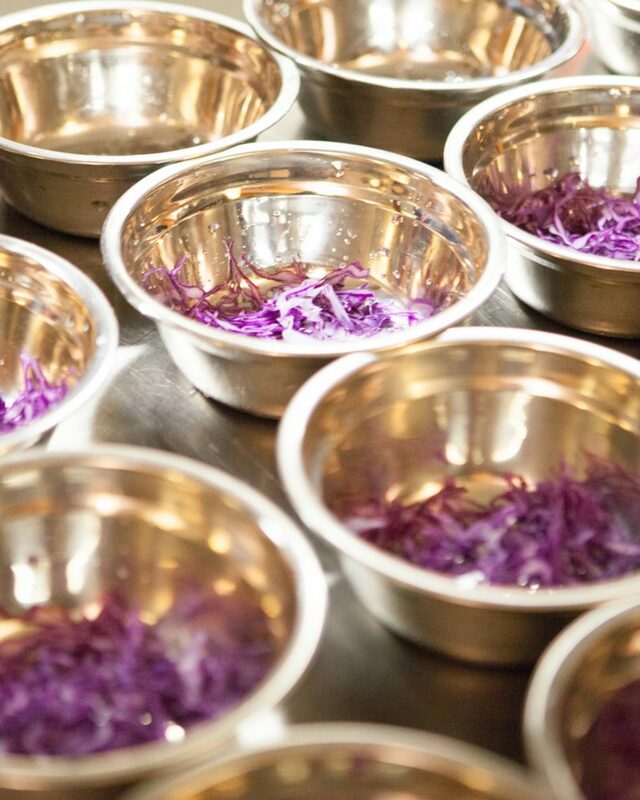 If you’re still hungry, you can come up for seconds, which is the biggest compliment to our chefs. Nirma or Niro will probably force someone at your table to get seconds anyway! If you want lunch for the next day, for $5 you can grab a takeaway meal. Then we serve you dessert. What do you think it is about people coming together over food that is so powerful? Food is our most common denominator – everyone loves to eat. At TF we are all – customer, chef, volunteer – honoring that we are all working to create equality for people seeking asylum. We are also honoring the traditional food of Tamil people – the heritage and culture that they have lost in their displacement. How important is music during a feast night? What might we hear playing? Music is very important! And it is all Niro’s responsibility. He has multiple USB’s and mix CD’s that we try to keep on rotation, but of course, sometimes they mess up. One time, I put on a ‘Tamil Spotify Mix’ and was told it was something “Grandma listened to” – apparently the mood was wrong the whole night! How is food sourced for TF meals? 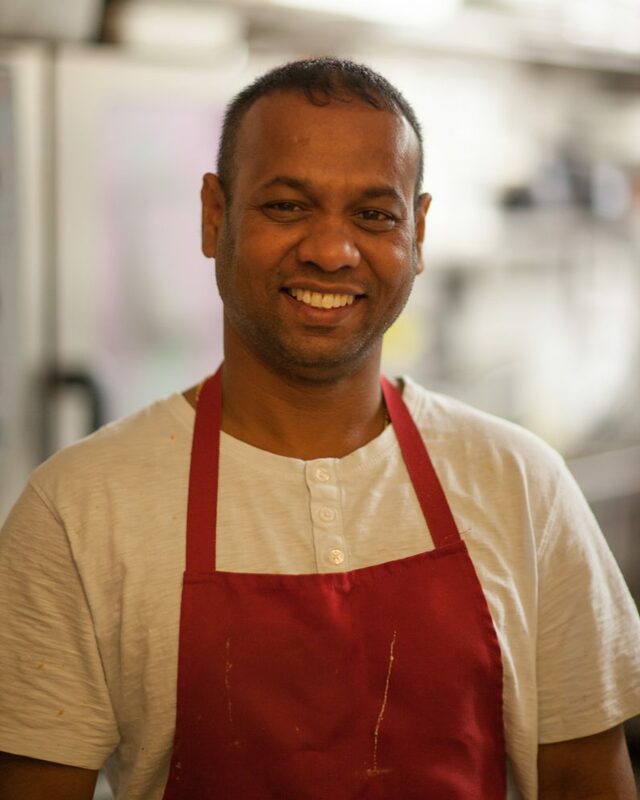 Nirma is our main supplier – he gets all of our spices, dry goods, fish and meat from his favourite providers around Melbourne’s many awesome Markets. We get as many veggies as we can from the CERES Joe’s Market Garden. What has been your greatest achievement so far? Being able to reach about 200 people a week through food! We are very proud of building Tamil Feasts. What is something you wish you could change? Long term mandatory detention, stigma from government of people seeking asylum, media bias, racism, unknown visa status’, language barriers, isolation, confusion. What is your dream for TF? Our dream and what we are really looking forward to is being able to create more jobs and employ more people seeking refuge. We’ve spent the last two years building and addressing real problems in Australian society and we would like to extend opportunities to other people. Employment greatly increases wellbeing and empowerment, but people seeking asylum struggle to find work, even if they do have the right to. We think the founding TF team are the best mentors – their knowledge and skills are well recognized and they are game changers! If you were a plant, what would you be? Niro: Banana plant. Nirma: Medicinal herbs. Nigethan: Curry leaves. Dori: Rainbow chard. Do you have a well-loved TF recipe you to share with us? Yes! Thinly slice beets, onions and chilli. Cook for 20 minutes on medium high in oil. Then add curry powder or curry paste, then coconut milk. In a separate pan, heat oil and add mustard seeds, cumin, onions and curry leaves. Cook until browned. Finally, add this mix to the curry. Season with salt and lemon. You are now ready to serve Nigethan’s Beetroot Curry! 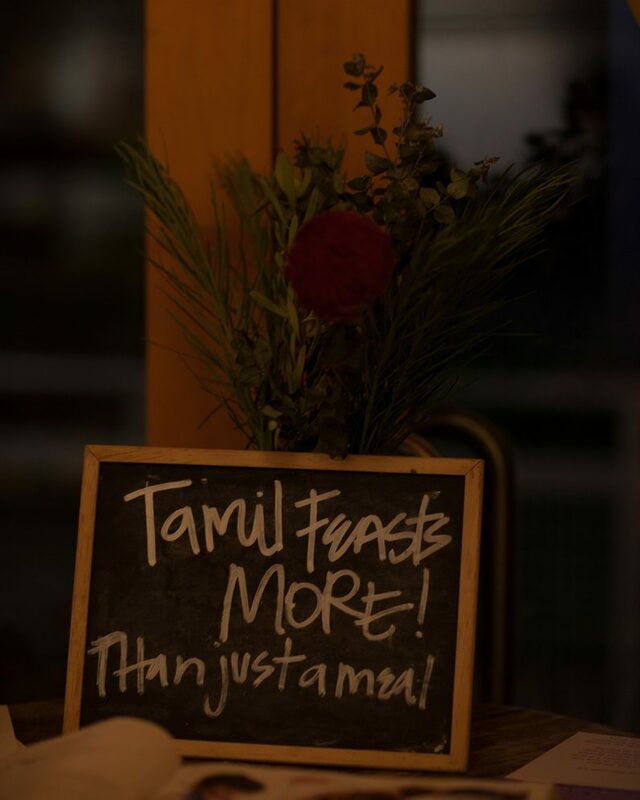 Tamil Feasts is a social enterprise hosting feasts in East Brunswick, Melbourne, three nights a week. You can book tickets to a feast here, but be fast as they sell out quickly! Follow along with the journey of the Tamil Feast guys through their Website, Facebook and Instagram. All images by Tyra Ebbersten.